A collection of top articles on the key issues dominating forex and other global markets, and weekly forex reviews and previews, for traders of forex and other global asset markets with limited research time. Have your own recent favorites? Leave us a comment and name we can use to cite your contribution if the article makes our next list. 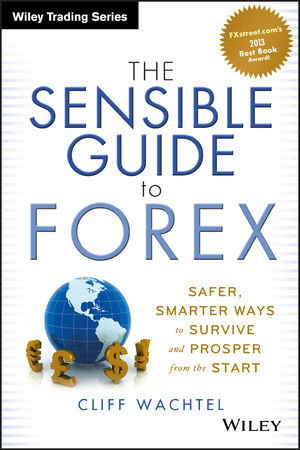 The following is a selection of must-read articles for forex traders, recommended by our team of analysts at fxempire.com. While the list is subjective and far from comprehensive, all are highly useful. We provide short summaries to help you decide which ones to read. We limit the number, and give preference to those pieces that are more likely to have been missed. Again, we welcome your input and personal recommendations in the below comments area, as the selection process remains a work in progress. Most currencies respond to changes in risk appetite, depending on whether they are risk or safe-haven currencies. Those not clear about which are which and why, see here. Therefore any currency trader needs to consider overall risk appetite. Here are some of our favorite articles of the past week along with some brief summaries. …that profit margins naturally gravitate towards a constant mean–a mean that does not change as structural conditions in the economy change. But what happens if this assumption turns out to be wrong? Looking back, profit margins have resisted mean-reversion for quite awhile now. If you use the profit margins that actually matter, S&P 500 profit margins, and you ignore brief recessionary periods, they’ve resisted it for almost 20 years. ….Why ignore recessionary periods? Because no one disagrees that profit margins fall in recessions, that they are cyclical in nature. The question is whether they are mean-reverting–specifically, whether they revert to a mean that stays constant over time. If they spend all of their time elevated well above the mean, and only fall to touch it briefly during recessions, after which they rise right back up, then either they aren’t mean-reverting, or you’re not using the right mean. The author concludes it’s a mistake to conclude that different valuation measures provide independent confirmation of each other’s accuracy if all of these measures assume some kind of profit margin mean reversion. Such valuation metrics are using the same key assumption (arguably wrong) and thus are just different versions of the same metric. Ukraine: The G7 may be overestimating the impact of what have been minor financial sanctions and underestimating Putin desire to annex areas that it considers historically linked to Russia. China: Investors are too confident that the Chinese will apply stimulus to the Chinese economy, given that key goals of reforms is to cut debt and liquidity, and to discourage reckless lending. More stimulus would However easing credit conditions can hardly be attractive to Chinese policymakers and straight out fiscal policy pushes against structural reform efforts. Economists have poor track record for predicting recessions (they almost never see them coming). So just because economists expect the economy to keep growing doesn’t mean it will. Sales revenues of the FORTUNE 500 rose over 600%. Yet the Dow Jones Industrial Average was virtually unchanged at the end of those 17 years. While you can argue that flat performance was due to soaring interest rates during that period, the same thing could happen again. We add that this is not a far-fetched low probability tail risk, given that rates remain near historical lows and we’re slowly coming out of a historically unprecedented QE experiment. Maybe the Fed will be able to mop up the excess liquidity without inflation and rising rates. Maybe not. The Fed didn’t see the subprime crisis or Great Recession coming, and it could easily be too to stop an inflationary spiral rising rates. Although direct speculative CNY trading is limited, as the second or third largest economy and leading customer for almost everyone, its top tier data has a major influence on overall risk appetite and hence both risk and safety currencies. It’s understood that China’s growth is slowing from its past 10%/year to around 7.5%/year. As in other countries, much of China’s boom was fueled by reckless lending to bad credit risk entities. So, the big question is how much bad debt is out there, and whether China can rein in its credit bubble and clear out the bad debts and defaults in an orderly fashion that avoids a “Minsky Moment” sudden large wave of defaults that freezes credit and crashes the economy. Best articles of the past week on the China debt unwind include the following. This article provides good background on why China has elected to reduce credit and liquidity even at the cost of slower growth, and the implications of this policy change for global markets. For those who haven’t followed the China deleveraging and related slowdown story, this is a good place to start. Unlike the debt of state-owned enterprises, private sector loans are only as reliable as the borrower, and enjoy no explicit backstop from the government. While it’s possible that the government would prevent systemically important defaults, the uncertainty and lack of clear regulations and protections make China vulnerable to “Minsky Moment” when confidence in private sector credit markets collapses, all lenders seek to sell or collect their loans, the value of the debt instruments plunge and spark a collapse of credit markets, a wave of business failures. The bank run was started by a rumor that the bank was about to close. It occurred in one farming county where a series of lightly regulated credit co-operatives and loan guarantee companies had already failed earlier this year after mismanaging funds. China has no depositor insurance program, though regulators are expected to announce one in the coming months. For now there’s only an implicit guarantee from the government. The bank was small, cash was quickly provided. We add that this incident continues what has become a weekly flow of China defaults or other signs of increasing worry about China’s financial markets’ stability. As the government has decided that to let private firm defaults serve as a warning to reckless lenders and investors, while state-affiliated institutions have thus far enjoyed China’s implicit but unofficial support. Here are two bearish EUR posts. The Telegraph’s Ambrose Evans-Prichard reports how Germany is steadily inching towards acceptance of EUR dilutive debt monetization by one means or another. …the Pfennig has dropped that euroland is just one Chinese shock away from a deflation trap, an outcome that would play havoc with the debt dynamics of southern Europe, render the euro unworkable, and ultimately inflict massive damage on Germany. Bundesbank chief Jens Weidmann was not exactly panting for QE in comments to Market News published this morning, it has to be said, but the tone marks a clear shift in policy. As we argued in our January post:Coming 2014 Explosion: EU Money Supply or EU Itself?, the move is coming, it’s just a matter of when. Over the past year the EUR is up 25% vs. the RUB. The vulnerability of German and other EU banks to Russian counter sanctions if the crisis escalates, especially given the EU’s recent failure to come up with an effective banking union deal to prevent isolated bank failures from becoming systemic risks. Growing deflation risks: Eurostat’s HICP index on inflation “at constant taxes” – stripping out austerity – shows that 23 of the EU’s 28 countries have seen a fall in prices over the last seven months. Roughly speaking, inflation since June has been running at a rate of minus 1pc in France since, minus 2pc in Holland, Belgium, and Slovenia, minus 4pc in Italy, Spain, and Portugal, minus 6pc in Greece, and minus 10pc in Cyprus. Sweden and Switzerland are also in deflation. Yes, since the summer of 2012, medium to long term betting against the EUR has been a losing trade, despite its dire fundamentals (ex-Germany) and the dysfunctional currency union behind it. Still, lending printed money to those who can’t repay their current debt load isn’t a sustainable model, so we remain alert for signs of a sustained EUR pullback. Citi: Why Does The Euro Refuse To Go Lower? The article draws technical and fundamental parallels between past EUR rallies and the current one, and if the similarities between the past and current rallies apply, the current EUR rally is due for a major multi-year move lower. It concludes the EURUSD ends 2014 closer to 1.2 than the current resistance around 1.39 -1.4, with continued downtrend in years to come that could leave the EURUSD near parity. The big signal for the next move lower will be a confirmed move below the EURUSD’s 200 month moving average. Overview of key technical and fundamental forces for the coming week. This includes brief mention of the most noteworthy developments among the major currencies, trader positioning, and for some reason, the Mexican Peso too. This includes the title topic, as well coverage of the key events and developments this week for most of the major currencies.